As we continue on through our Marley and Me saga, I make it a point to make blindness and the word blind something Marley will relate to with proud and possitive feelings, not ugly or negative ones. So often in the world blindness is accompanied with sadness, pity, shame, grief. It is my goal to abolish any negative ties to blindness in my daughter’s world. If the world could only view things through the eyes of an innocent child, it would be a much more beautiful place. One of my favorite photos from this summer. 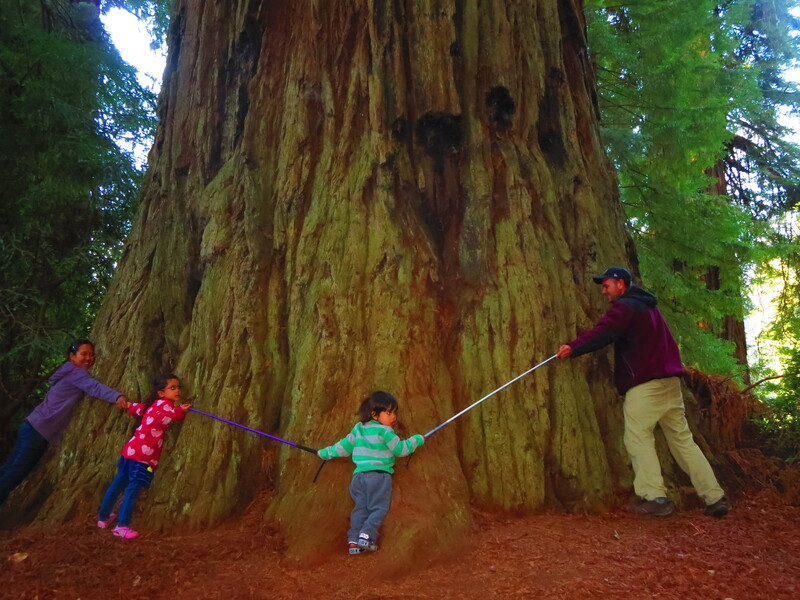 Even with reaching around with both My cane and Marley’s cane, we still barely manage to make it halfway around that giant redwood tree. Posted on September 7, 2014 by MamaRupp	• This entry was posted in Uncategorized and tagged beautiful, Blind, blindness, Braille, cane, daughter, human beings, Positive, proud. Bookmark the permalink.